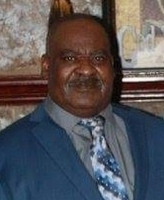 Provide comfort for the family of Elbert Ellis, Sr. with a meaningful gesture of sympathy. Elbert Ellis Sr. was born on December 29, 1949 to the late John Austin Ellis and Bessie Mae Robinson Beasley in Waldo, Arkansas. He attended Rosston High School. He was employed at Smith and Blair for 47 years. He retired in 2016. Elbert was preceded in death by his parents, one brother, and his wife Melba Dean Ellis of 47 years. Elbert was the comedian of the family. He leaves to cherish his memories; 2 sons, Gregory Charles Ellis (Keisha), Elbert Ellis Jr. (Sharkira), 3 daughters, Audra Dixon (Marvin), Victoria Gray (Kelton), Brianna Lewis (Kevin), 4 brothers, Earl Ellis (Lettye), Clarence Ellis (Louise), Bobby Joe Kimball (Teresa), Micheal Beasley, 3 sisters, Emma Frazier (George), Patsy Ellis, Nellie Paden (Johnny), 24 grandchildren, 19 great grandchildren and numerous nieces, nephews, and other relatives and friends. To send flowers in memory of Elbert Ellis, Sr. , please visit our Heartfelt Sympathies Store. We encourage you to share your most beloved memories of Elbert here, so that the family and other loved ones can always see it. You can upload cherished photographs, or share your favorite stories, and can even comment on those shared by others. Provide comfort for the family of Elbert Ellis, Sr. by sending flowers.